Your ISP probably blocks a lot of websites, and even has crappy servers. This can make your interwebz experience a lot bumpy. Unfortunately, I happen to be in this situation right now. While opening even the most generic websites like Gmail and Wikipedia, I get the error stating that my connection is not private. This happens regardless of which browser I use. After checking for solutions for a bit for my particular case, I singled out three possible culprits. This will work for all the web browsers, but, since I mostly use Chrome for my daily work, I’ll be only focusing on it. This one might come as a surprise to you, but some of us don’t have the correct time and date set up on our PCs. When these two things are not set up correctly, Chrome is not able to verify the certificates of the websites that you are trying to use. Most of the time, this is the only reason for not having “not a private connection” error. Luckily, this is pretty easy to fix. You just need to set the clock to automatically sync data from MS servers. Open Date and Time properties in the Control Panel. 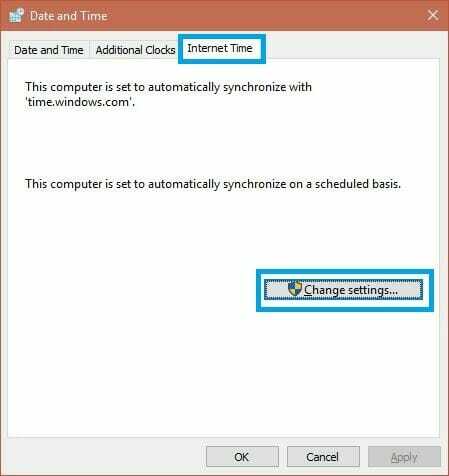 Click on Internet Time and then the Change settings button. 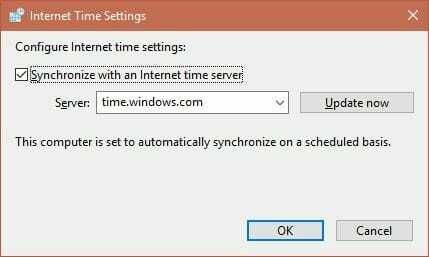 Check the Synchronize with an Internet time server and then click on Update now button. Click OK and close the date and time properties box. Open the website that you were trying to access when you got the connection is not private error. Check the address bar to see if the URL starts with an HTTPS or not. Most of the time, the connection isn’t private because the website wasn’t using HTTPS. As you can see in the screenshot above, google.com uses HTTPS. Some websites, however, use the older and unsecured HTTP which sometimes causes this error. Unfortunately, you cannot most certainly do anything about this. Try contacting the administrator of the website to tell them that their website is using an insecure method for connection. Sometimes, however, you can use a plugin called HTTPS everywhere to fix this. Mind you that this works only for a limited set of websties. Sometimes, you can force certain websites to use HTTPS instead of HTTP. By default, some websites use HTTP in their URLs. You can try replacing that HTTP with HTTPS. Obviously, doing this manually for every web page is counterproductive. Fortunately, there is a Chrome extension for that. It is called HTTPS Everwhere. This extension does exactly what its name suggests. Install it from the Chrome store and check if the websites that you are trying to visit give you the connection, not private error. Howtogeek has an excellent article explaining the method for switching DNS on your PC with step by step guide alongside. 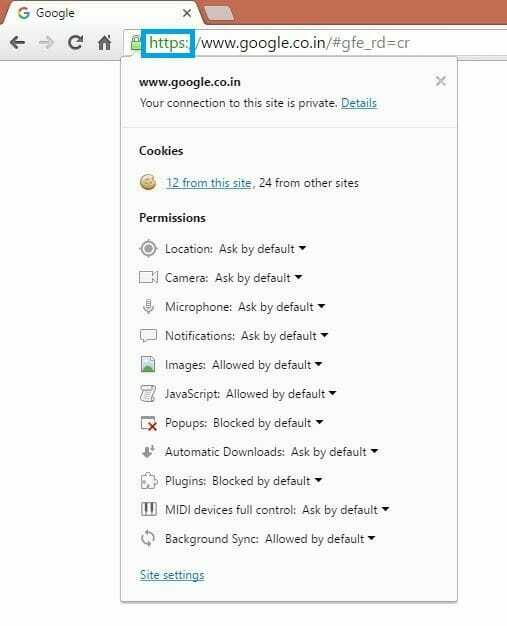 After doing all these steps, Chrome will stop showing you the error “Your connection is not private“.